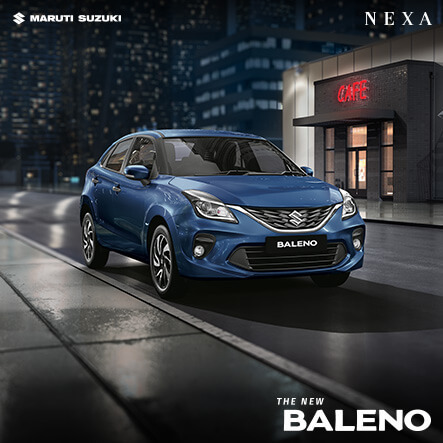 Braking charges the special high capacity battery and generates energy to assist the engine’s idle stop start function, helping the engine during acceleration. The regeneration of energy assists the torque function of the car. This helps the engine in providing optimal acceleration and performance. The engine stops automatically when the car is idle and silently starts when the clutch is pressed. This helps in increasing fuel-efficiency of the car. It prompts the driver to effectively change gears. This helps ensure a smoother ride and better fuel-efficiency. playful and go beyond the routine. 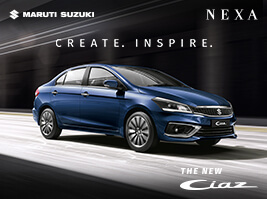 The perfect blend of style, sophistication and technology. 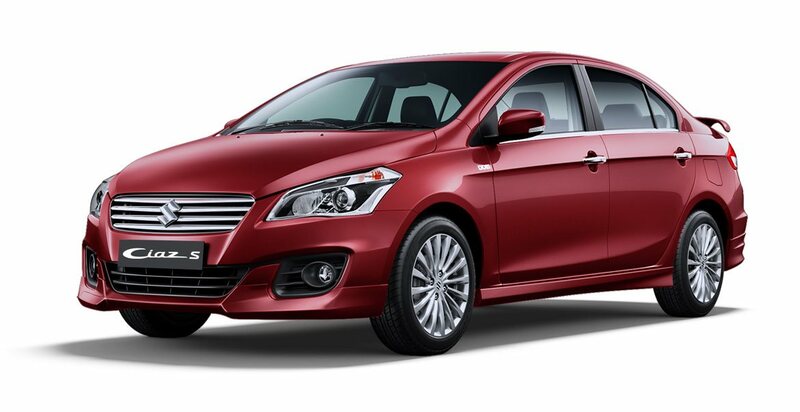 The DDiS 200 Smart Hybrid Diesel Engine with Turbocharger ensures you are never left wanting for power. 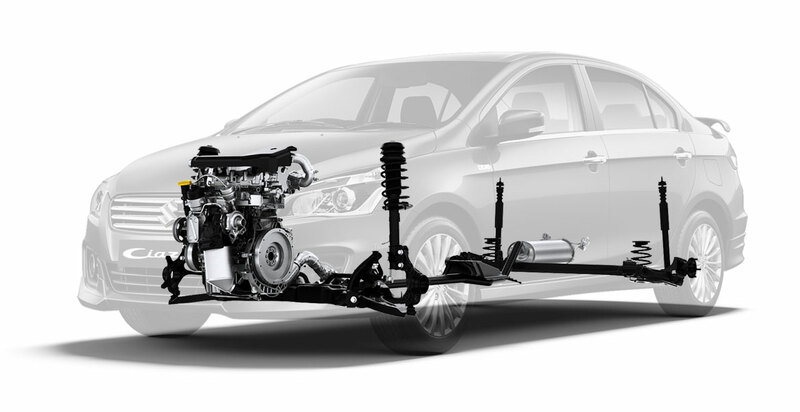 Smart Hybrid Technology helps recover energy from the car’s deceleration and restart the engine silently as well as uses it in supplementing the engine power. Always keeping you ahead of the game. 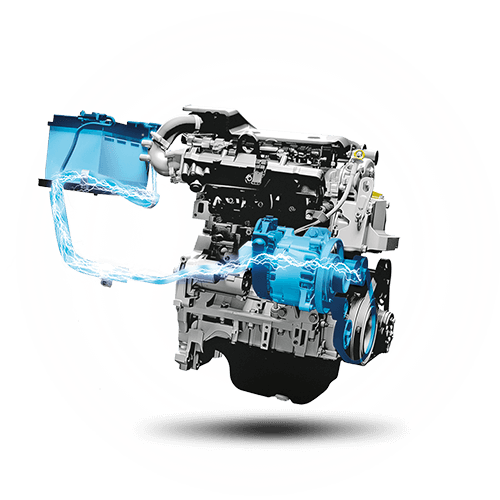 The advanced technology of the K14B VVT petrol engine packs a punch as it delivers dynamic performance. 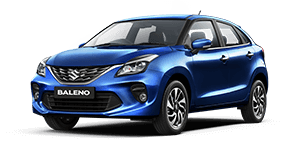 It incorporates a new Cylinder Head and Piston Design for better efficiency and the VVT system optimizes intake valve timing for a performance that’s a cut above. 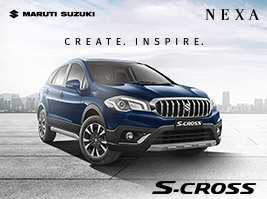 You can experience leisure like no other with the sporty and luxuriously appointed all-black interiors. The spacious and ergonomically designed cabin offers plenty of legroom, headroom and shoulder room. Now you can gear up for the day ahead. 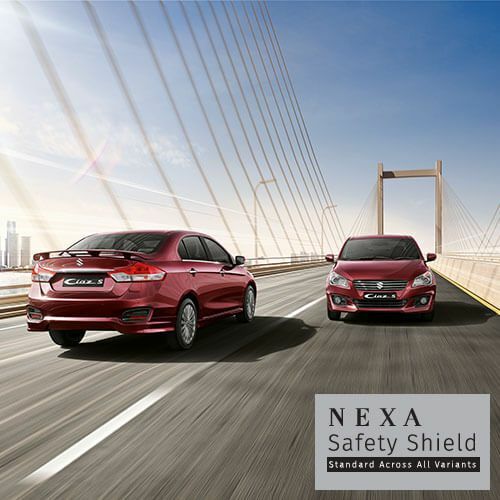 NEXA Safety Shield, a collection of advanced safety features from Maruti Suzuki that adheres to the highest standards, is designed to keep you safe in various situations. 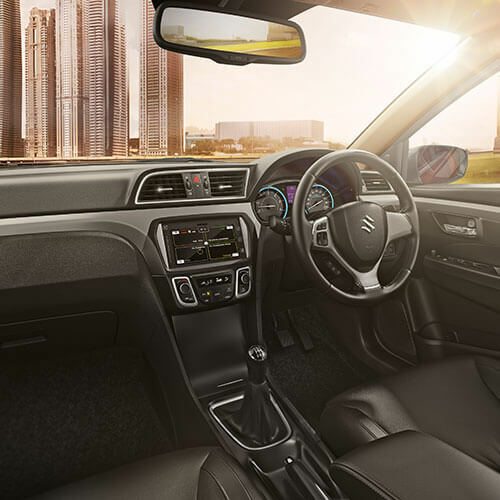 The dual airbags, ABS with EBD, front seatbelts with pre-tensioners and force limiters keep you safe in various situations. The pedestrian protection compliance, full frontal impact compliance, frontal offset impact compliance and side impact compliance ensures you stay safe as you face challenges ahead. # Spare wheel material is steel & spare tyre size is 185/65 R15. ## Some parts of the Leather Appointed Seat Upholstery will contain man-made material. 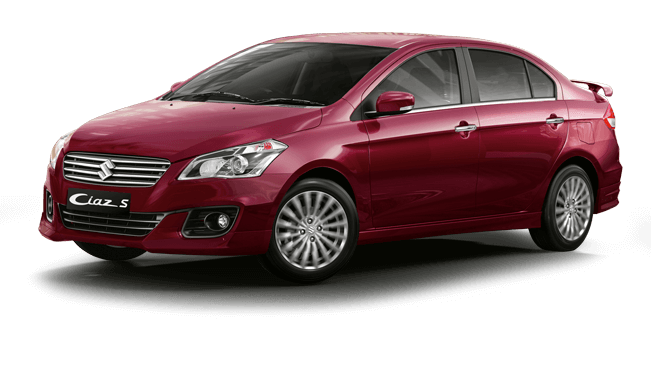 Automatic Transmission is available in Delta, Zeta and Alpha variants. **As Certified by Test Agency Under Rule 115 of CMVR 1989. 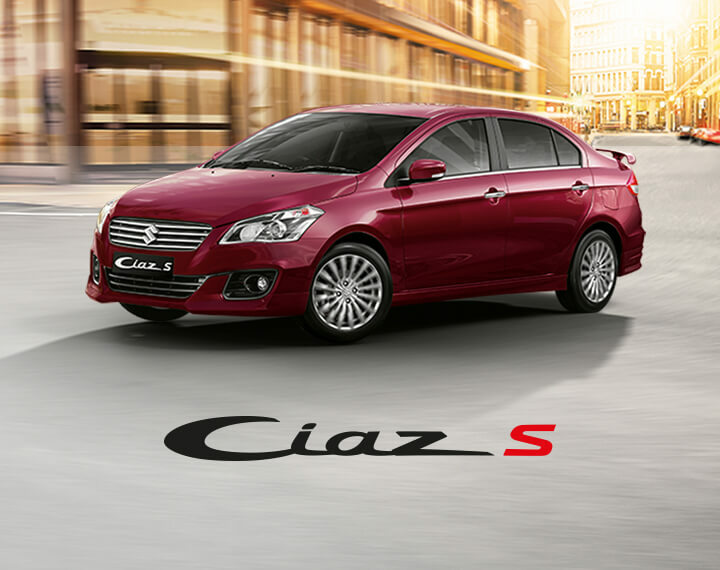 Experience leisure like no other with the sporty Ciaz S. Download brochure to know more. 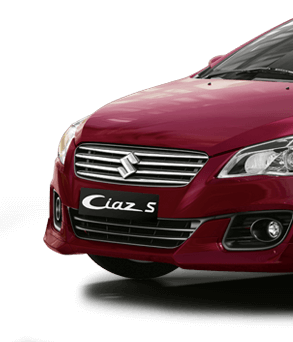 Fill up our online form to E-Book the Ciaz S.
Book a test drive Share your details to test drive the Ciaz. Request a quote Fill up our online form to get a quote today. 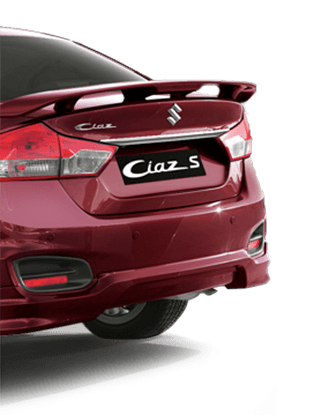 configurator Customize your Ciaz through our Configurator.